Cisco - 72-3383-01 REV.A2 Genuine Original Cisco RJ45 to DB9 Female 6 Feet Long Rollover Management Console Cable 72-3383-01 REV.A2. 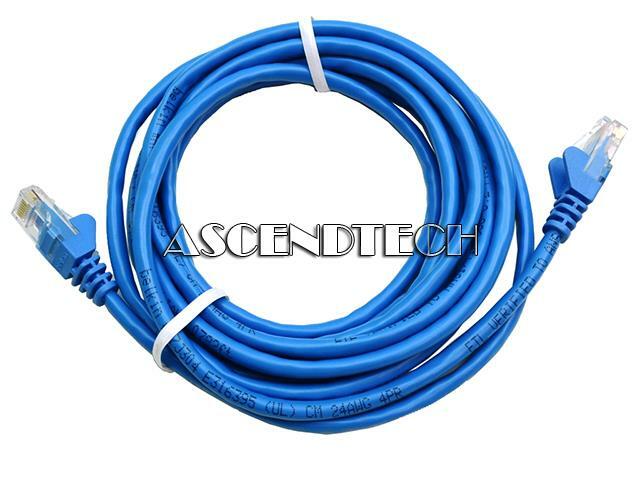 AscendTech - E09-007BL Micro Connectors 7 Augmented Category 6 10GbE RJ45 Ethernet Blue UTP Patch Cable E09-007BL. Belkin - A3L791-15-RED-S Genuine Original Belkin 15Feet CAT5e RJ-45 Network Snagless Ethernet LAN Patch Cable A3L791-15-RED-S.
Belkin - A3L791-10-BLK-S Genuine Original Belkin 10Feet CAT5E Network Snagless RJ-45 Black Ethernet Patch Cable A3L791-10-BLK-S.
AscendTech - 24AWGX4P Genuine Original RoHS Compliant 14FT CAT5E 50U Plugs Meet FCC Part 68 Network RJ-45 Yellow Ethernet Patch Cable 24AWGX4P. 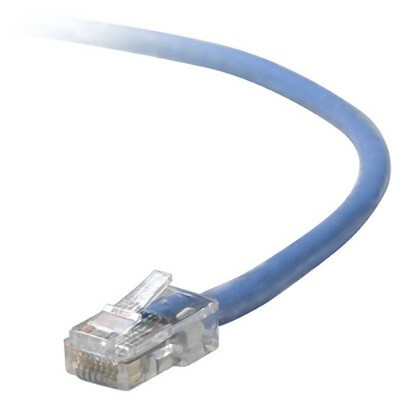 Belkin - A3L791-03-BLU RJ45 CAT5e Patch Cable Blue 3 Feet The RJ45 CAT5e Patch Cable is perfect for use with 10/100Base-T networks. 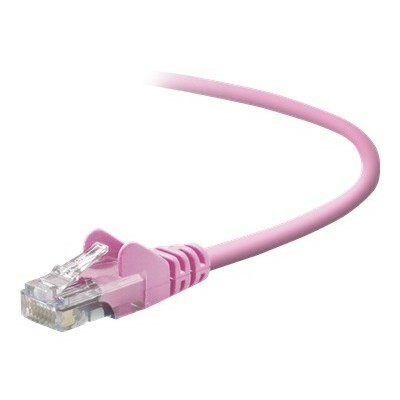 Belkin - A3L791-03-PNK-S Network cable - RJ-45 (M) - RJ-45 The RJ45 CAT5e Patch Cable is perfect for use with 10/100Base-T networks. 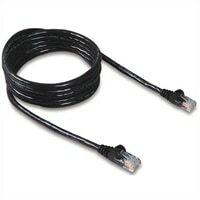 It features RJ45 male-to-male connectors and snagless molded-strain relief. 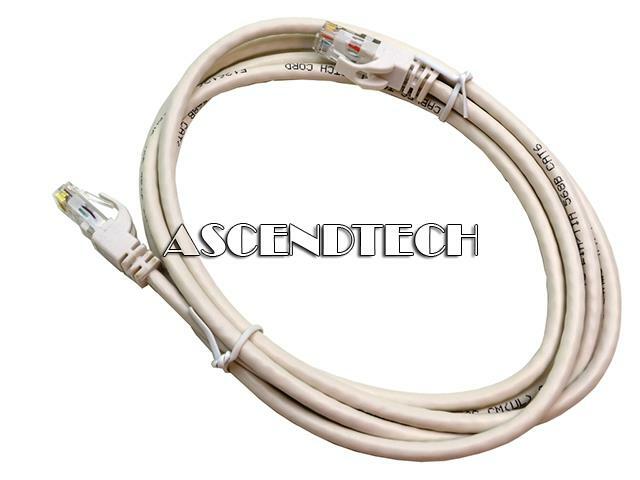 Dell - H611M Genuine Original Dell Automated Deployment RJ-45 Network Ethernet LAN Patch Cable H611M 0H611M CN-0H611M. 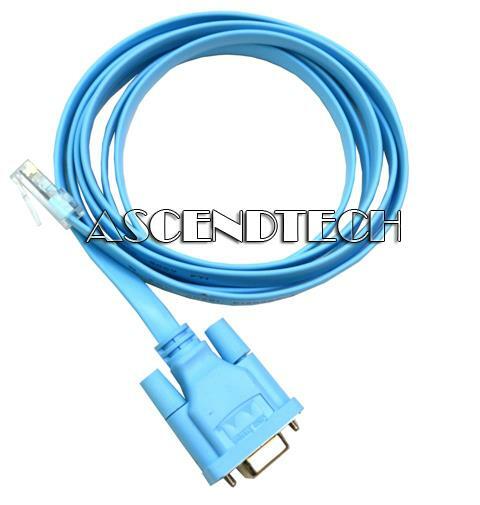 AscendTech - EVNSL81-0015 Genuine Original GigaBase 350 15FT 4.5m CAT5e 350MHz Booted Blue Network RJ-45 Ethernet Channel Patch Cable EVNSL81-0015. 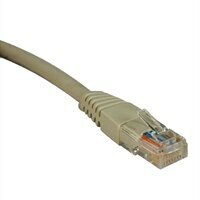 Cables To Go - 27162 CTG #27162 Genuine Original Cables To Go 7ft CAT6 Snagless Unshielded (UTP) Ethernet Network RJ-45 (M) to RJ-45 (M) Patch Cable 27162 M739C 0M739C CN-0M739C. 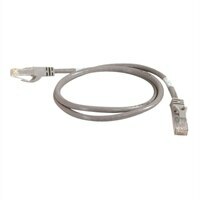 Belkin - 5' Cat6 RJ45 Male to RJ45 Male Snagless Patch Cabl The Belkin A3L970-05LS blue Snagless Patch Cable measures 5' length. 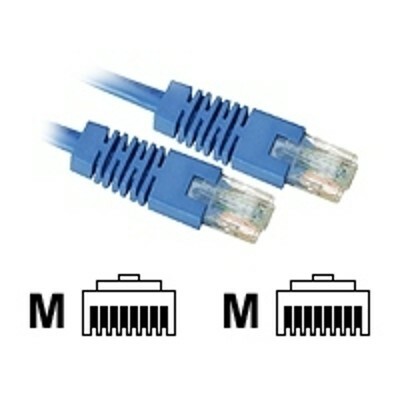 It connects Cat6 RJ45 Male to RJ45 Male.